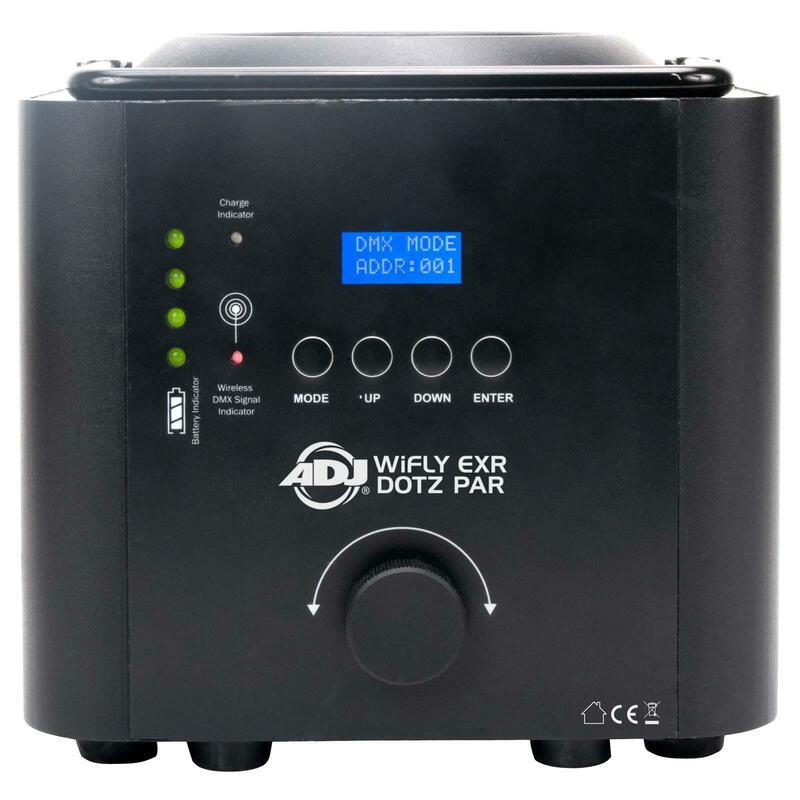 The WiFLY EXR Dotz Par (WIF022) is one of ADJ’s most technically advanced LED Pars to date. It utilizes ADJ’s WiFLY EXR extended range wireless DMX that transmits a signal up to 2,500 ft (760M), it features a bright, saturated 36W TRI COB (Chip On Board) LED, and has a built-in battery that lasts up to 8 hours on one charge. 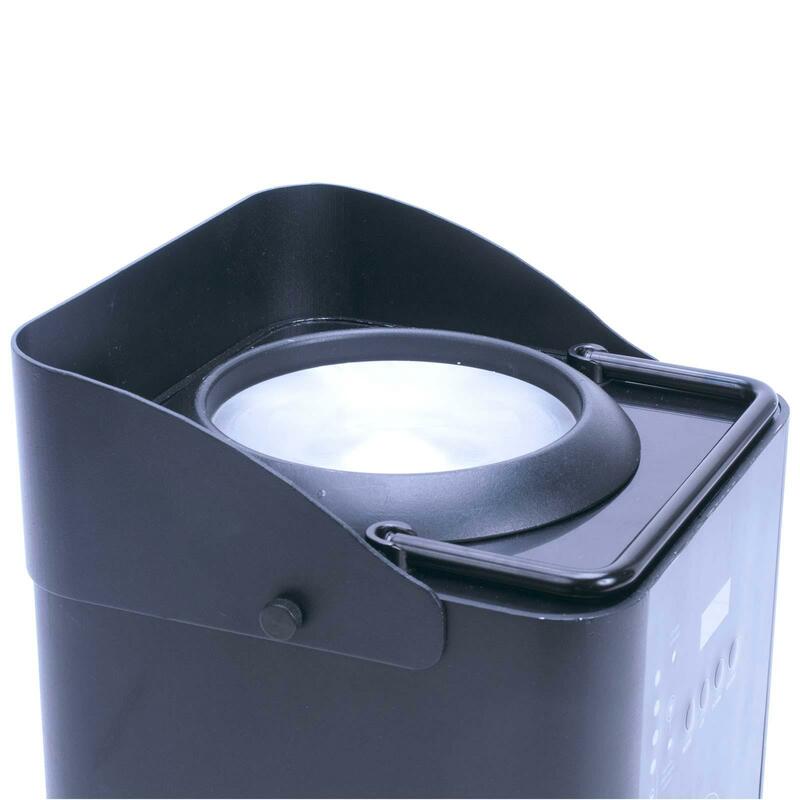 It may be used as a 20-degree Par or as a 66-degree wide wash with the lens removed. There are 32 built-in color macros, 5 DMX channel modes and 7 operational modes to choose from. 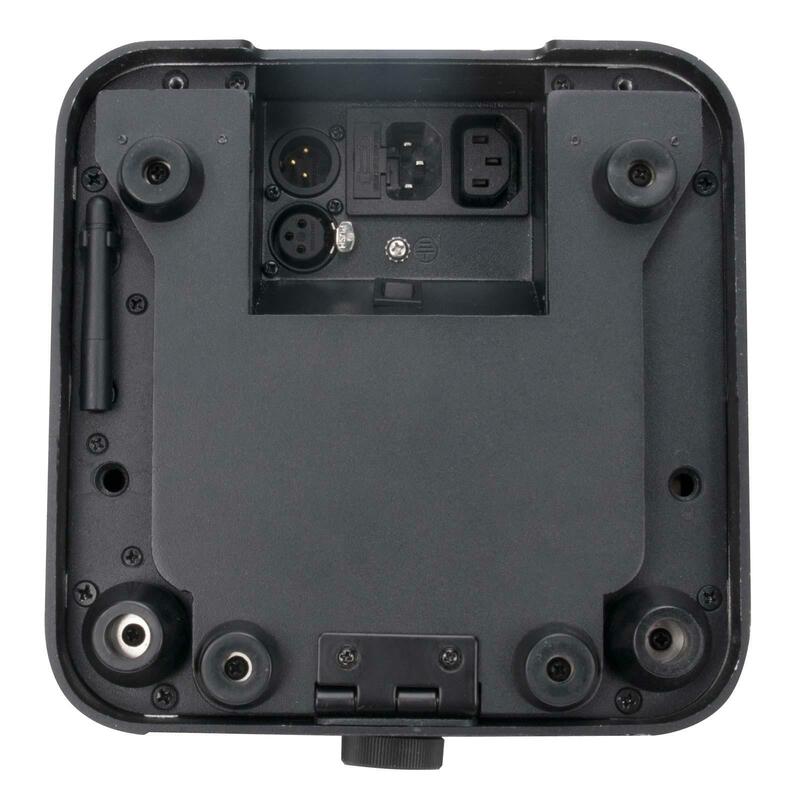 The IEC In/Out power connectors, DMX IN/Out connectors and wireless DMX antenna are tucked away underneath the unit. There are rubber feet so the fixture may be set on the ground. There is also a built-in kickstand to angle the par while its on the floor. 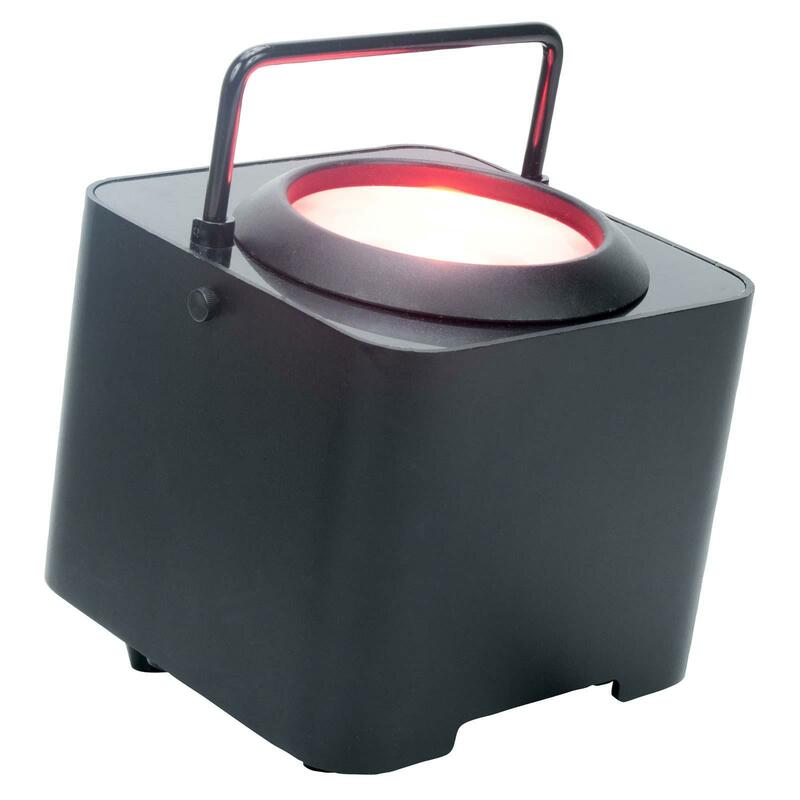 • Variable RGB color mixing offers a smooth, seemingly unlimited color palette - Great for Stage or Wall Washing!